Newlyweds, looking for adventure and luxury for your honeymoon but disheartened by your limited budget? Well, stay local. The American Southwest offers some of the country’s most romantic and enchanting honeymoon destinations. We have reviewed some great places in this region that we know brides and grooms will be pleased with. Our first stop, Phoenix, Arizona, is known for a lot of things. However, to most people, luxury isn’t one of them. 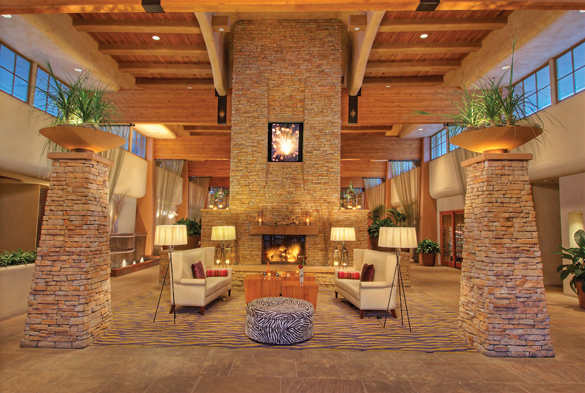 Nevertheless, we arrived at the FireSky Resort & Spa (fireskyresort.com) in Scottsdale—not your ordinary, run-of-the-mill resort. In fact, it is one that prides itself on contemporary grandeur focusing on fire and earth elements. Rooms are designed with private balconies and desert-inspired furniture. After dropping our bags, we headed to the lobby for their complimentary “Wine Hour,” along with a trip to the resort’s very own Italian restaurant- the Taggia. You can take a trip after dinner to the beautiful pool and their Mediterranean-inspired lagoon, perfect for some relaxation on your first day. When you wake the next morning, you can hike to Piestewa Peak for some morning exercise before heading to Scottsdale Mall for some afternoon lunch. Stop and contemplate the art exhibits at the Scottsdale Museum of Contemporary Art. Later, have a delectable meal at T. Cook’s, located at the Royal Palms Hotel in east Phoenix. They serve Mediterranean food in a Spanish Colonial style mansion; expect the meal to be pricey, yet worth it because of the food and the ambiance. There is plenty to do in Phoenix, however one thing that is a must on your schedule before you leave the city is to visit the Desert Botanical Gardens where you can enjoy the desert flora and fauna. After all the walking, relax and find a bench in a scenic area, profess your love for one another, and then get ready for the next city. Now off to Las Cruces, New Mexico, a city nestled in the fertile Mesilla Valley between the majestic Organ Mountains and the meandering Rio Grande. It is sometimes known as “The City of Crosses,” where you will find unique varieties of attractions, culture, and historical sites. On our first day we visited historic Old Mesilla Village where the legend of Billy the Kid began and where some of the best food Las Cruces has to offer. We made it a day trip and visited the Museum of Natural History and the ranch Heritage Museum. After all the excellent sightseeing, we decided to watch an independent film at the Fountain Theater and took a stroll to the local farmers and crafts market. We called it a night and stayed at the beautiful Hotel Encanto de Las Cruces (hotelencanto.com), a luxury hotel filled with the grandeur of Spanish Colonial tradition, rich fabrics and textures, and unique pieces from old Mexico. You can dine in the hotel’s restaurant, Garduño’s of Mexico Restaurant & Cantina, which serves authentic New and Old Mexican cuisine or dance the night away in Azul Ultralounge, an upscale nightclub featuring musical entertainment and specialty cocktails. 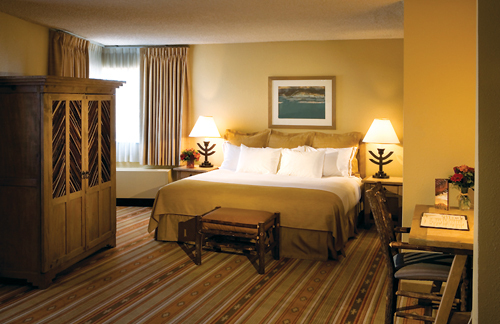 The hotel is also within walking distance to many popular shopping outlets. 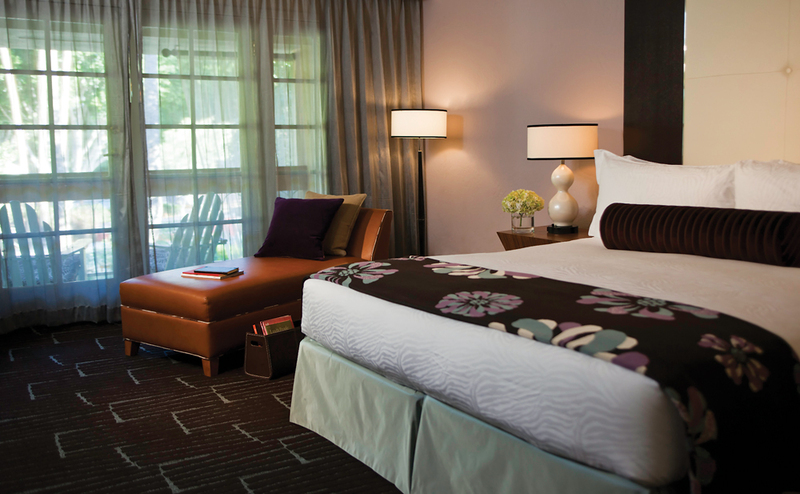 We opted to relax amid the stylish room and enjoy the ample Jacuzzi inside the room. 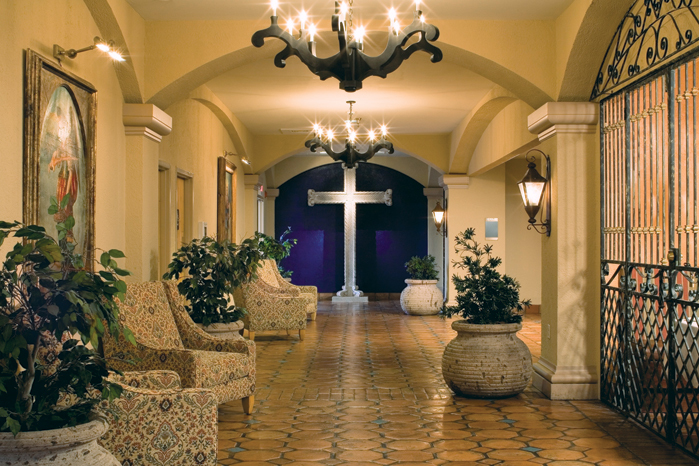 Hotel Encanto de Las Cruces is located at 705 South Telshor Boulevard Las Cruces, NM 88011, (866) 383-0443. Explore a wide variety of Las Cruces attractions and nearby things to do such as hiking the Organ Mountains, relishing 72 holes of golf or playing on the sand dunes at White Sands National Monument. Get to see why this destination, with its superb year-round weather with 350 days of sunshine is quickly becoming a popular southwestern honeymoon spot. Now off we went to one of the most beautiful historic cities in the southwest, Albuquerque, New Mexico. 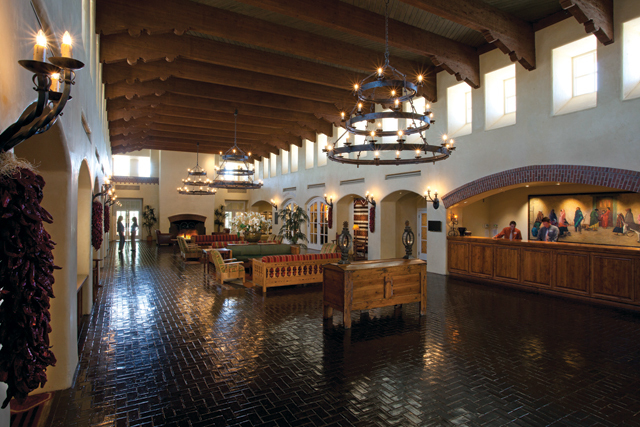 In this quaint, but authentic city, we had the time of our life at the Hotel Albuquerque (hotelabq.com), with its incredible southwest style, it combines modernization with the old west. Enjoy your meal at Garduño’s of Mexico Restaurant & Cantina inside the hotel, an acclaimed eatery serving delicious authentic New and Old Mexican cuisine. The QBar Lounge, the hotel’s famous spot for Albuquerque nightlife, is a perfect way for anyone to get acclimated to the city’s surroundings. However, when the sun rises the next morning, you should get an early rise, because the city has plenty to see. Perfect for any couple that loves history and nature, Old Town Albuquerque is the place to visit. 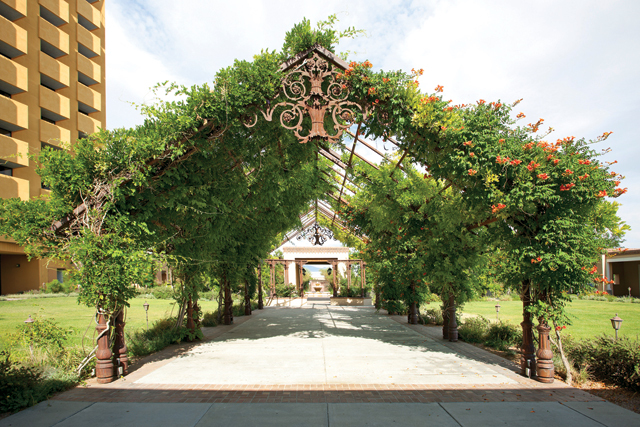 Then plan an all-day visit to the Rio Grande Botanic Garden, a splendid glass conservatory displaying one of the most exotic conservatories west of the Mississippi and the Albuquerque Aquarium, which holds 285,000 gallons of ocean water that is filled with aquatic life teeming from every corner of the Gulf of Mexico. Afterwards, have a picnic dinner and watch the sun set at the picturesque Tingley Beach. When your trip is about to come to an end, you should try seeing Albuquerque from the air when the International Hot Air Balloon Fiesta is in full swing. With many spots to explore and enjoy in Albuquerque is what makes this city the prime jewel of New Mexico and a beautiful honeymoon destination that you will have to see to believe. This is a remarkable city that offers romantic city atmosphere along with that charming southern hospitality. Being the eighth largest city in the U.S., it’s no surprise that the world’s largest fair is here: the State Fair of Texas. The fair features three weeks of fun daily events, creative art competitions, lots of great food, and the 52-ft talking icon, Big Tex. Honeymooners can enjoy an afternoon touring the Dallas Museum of Art by viewing African, European, and American exhibitions. We spent the morning at the zoo and then headed over to the aquarium for a marine life extravaganza. Nature enthusiasts can go for a bike ride or hike through White Rock Lake Park. 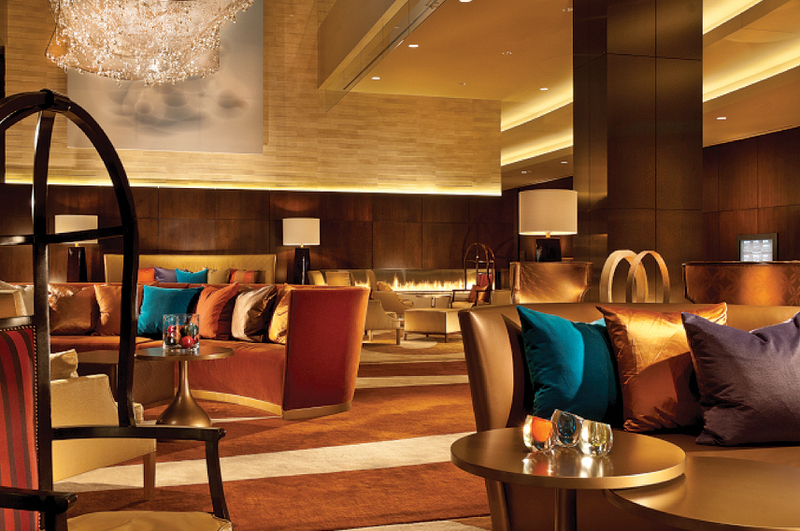 The Omni Dallas Hotel is one of the finest and most sophisticated hotels in the Dallas Metroplex. Offering everything from deluxe suites, to sumptuous dining at Bob’s Steak & Chop House, to top-notch rejuvenation at the Mokara Spa, destination wedding couples and honeymooners alike won’t regret choosing this property for their special occasion. 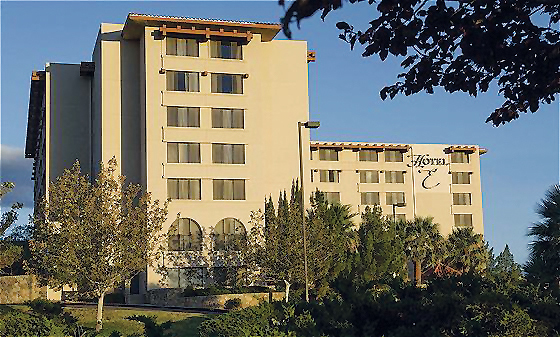 Guests can glimpse beautiful views of the city from all over this world-class hotel, after all it lies adjacent to the Dallas Convention Center; furthermore, it’s within walking distance of many fine eateries, bars, and museums, as well as the JFK Memorial Plaza and The Sixth Floor Museum. Couples can choose from a variety of restaurants at the hotel or simply bask in their beautiful infinity pool or Jacuzzi overlooking the downtown skyline. 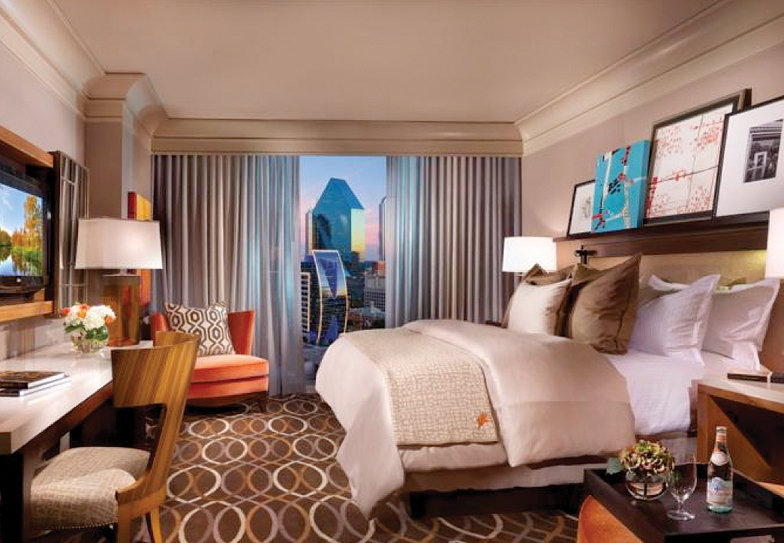 The Omni Dallas Hotel will provide a luxurious lodging experience for any traveler and constantly leaves its guests in awe of such a beautiful, exciting, and ever-hospitable city. 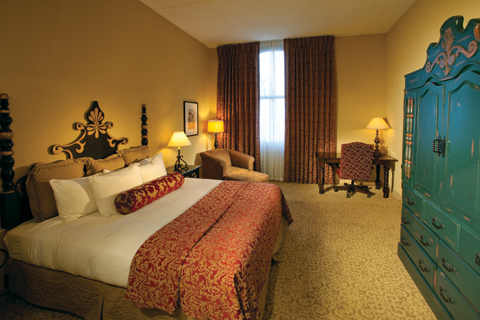 Omni Dallas Hotel is located at 555 South Lamar Street, Dallas, TX 75202, (214) 744-6664, omnidallashotel.com. 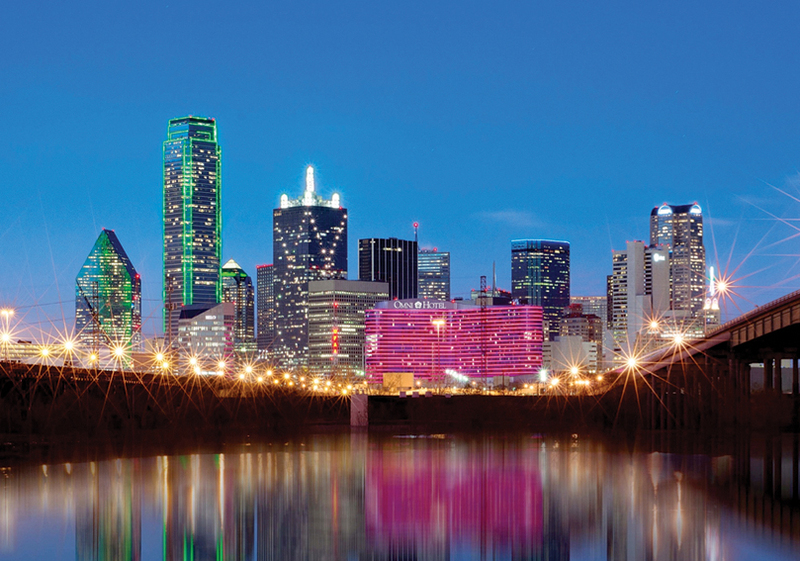 Best time to visit Dallas is September and November, although March and May have equally comfortable temperatures, the Cowboys’ football season invigorates the city and gives fall an edge over spring. Enticed? 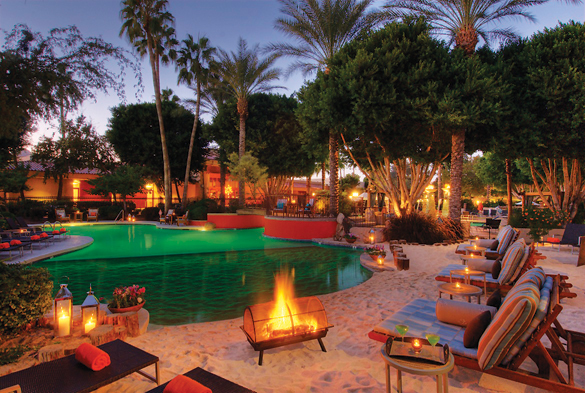 Your Southwest honeymoon will leave you with memories that will last a lifetime. So what are you waiting for? Excitement and extravagance await you. We look forward to hearing about your travels, and don’t forget to tell the hotels that you read their reviews in Latino Bride & Groom.